Powered by twin Cummins 425hp B 5.9's, giving it a 37 knot sprint speed and cruise at 24 knots. Kohler 7 kVa genset, full Raymarine package., satellite dome, telephone booster and WiFi connection. The vessel has a huge inventory list, including rod holders, marlin board, removable bait table with drainage, huge inbuilt kill / live tank below deck, two fridge/freezers and one 340l deep freezer. Accommodation for 4 plus handles two swags on deck, comfortably accommodating 6. Reverse cycle marine air conditioner. Quality fitout & accommodation, includes new carpet, antifoul / prop speed completed 9/2018, new anodes and polish and detail. 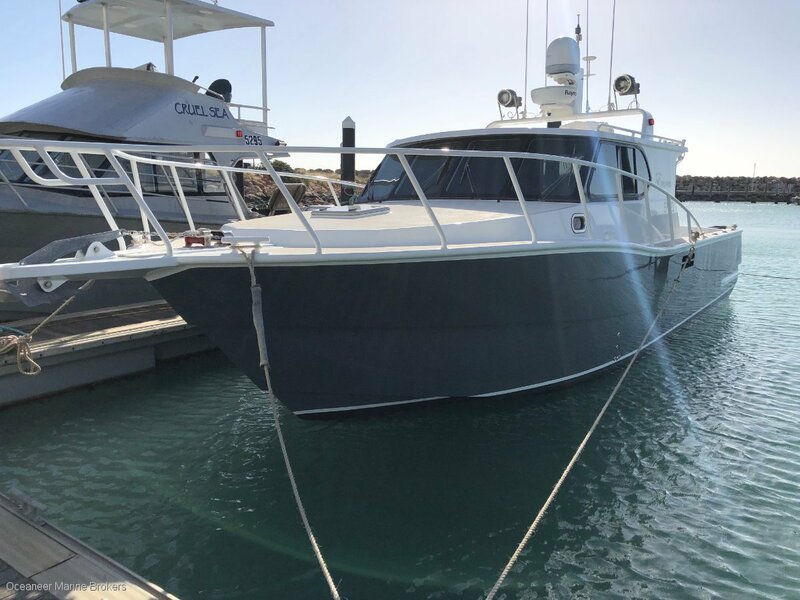 This vessel was purpose built for live aboard fishing trips to the Abrolhos. Fishing marks at the Abrolhos are included!! !